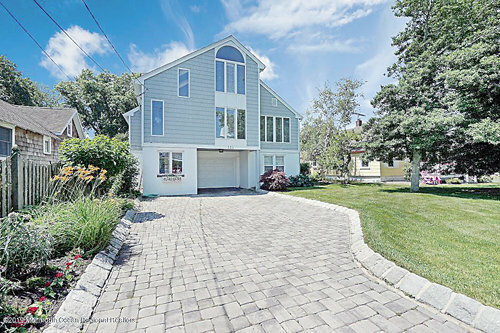 Contemporary, Single Family,Detached - Bay Head, NJ Right in the heart of Bay Head is where you will find this meticulously maintained and cared for home. The long paver drive lined with beautiful landscaping welcomes you to your new year round or summer home. first floor apt. complete with living area, kitchen, full bath and bedroom, perfect for weekend guests. The open airy feel to this contemporary home is apparent as you enter the main living area. Featuring custom Plantation shutters through out. Stainless Steel appliances accented with granite counters. 3rd level master bedroom suite enjoys natural sun light from custom solar sky lights. Making this the perfect getaway. Whether you are headed to the yacht club, into town or up to the beach, it's all a short walk from 121 Bridge Avenue!